What is the color turquoise and what matching colors you can wear with it? This is a unreal beautiful, fabulous hue. Be careful with its matches, so as not to overshadow yourself! This fresh, tender, gentle color of transparent sea water will suit any colortypes. It brings a sense of relaxation, so it’s an excellent choice for summer season and holiday time. And in moderation, for example, in the form of accessories, turquoise color will make official style more buoyant. In the office it can be successfully combined with light grey and white. An ensemble in turquoise and beige will create the atmosphere of elegance and chic. Beige sets off turquoise perfectly. If you wonder what color goes with turquoise, choose beige and you won’t regret it. White and brown can be used as additional complementary colors. 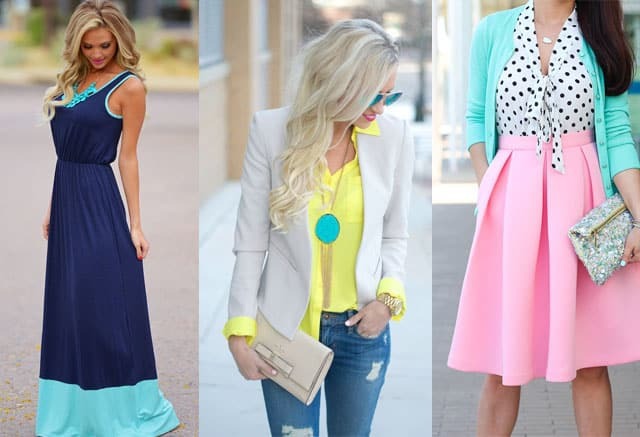 As for yellow-turquoise color combo, it reminds of sun and sea and is able to cheer up the people around you; anyway, you will not go unnoticed. Golden accessories in combination with turquoise color create an alluring luxury image. There is a variety of colors that go with turquoise: light blue, aquamarine, wine-color, lilac, fuchsia, purple, brown, orange, terracotta, cream, white, silver grey. 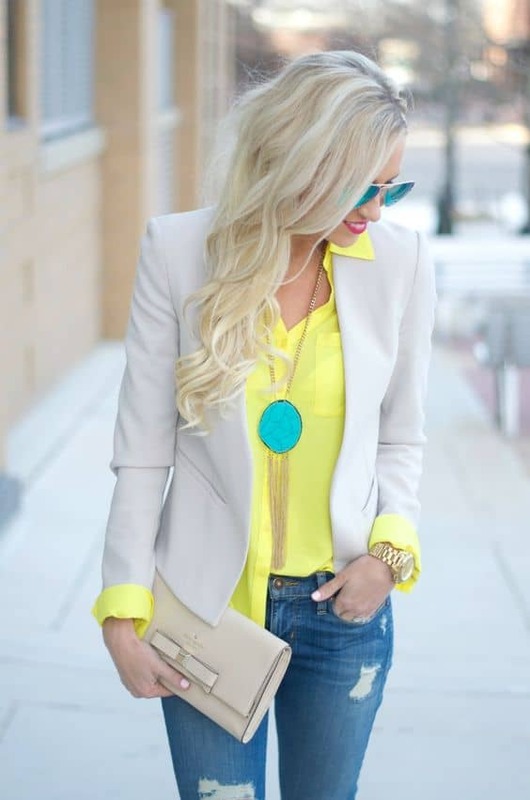 Turquoise coat with white pants and beige bag very bright and conspicuous outfit. Turquoise jumper with polka dot blouse and pink midi fabulous skirt. Romantic and cute image.